Will This New Bill Level the Playing Field for Urban Farms? Michigan Senator Debbie Stabenow just introduced urban farming legislation in anticipation of the 2018 Farm Bill. Will it stick? Urban farming received a legitimizing nod last month when Senator Debbie Stabenow (D-Michigan) introduced the Urban Agriculture Act of 2016 in hopes of getting it included in the next Farm Bill. The bill aims to create economic opportunities for urban farmers, expand U.S. Department of Agriculture (USDA) farm loan programs to urban farmers, support the creation of urban farm co-ops to help bring products to market (and allow those co-ops to manage loans for urban farmers), invest in urban ag research, and improve access to fresh, local foods. The bill is long overdue, according to Malik Yakini, executive director of the Detroit Black Community Food Security Network, the nonprofit that operates D-Town Farm, the Detroit farm where Stabenow announced the legislation. “Overall, I think the bill is progressive and it’s a significant step forward that Senator Stabenow is recognizing the importance of urban agriculture,” Yakini says. Whether the legislation will make it into the final 2018 Farm Bill is yet to be seen. But if it does, it would be the first time urban farmers have been included in the federal legislation. And it could provide important protections for urban farm businesses in the case of bad weather, disasters, and market shifts. Wes King, policy specialist for the National Sustainable Agriculture Coalition (NSAC), points to the provision that would provide the USDA the ability to allow urban farmers to use contract and local pricing to recover losses as part of the non-insured disaster assistance program. As part of the bill, Stabenow has also advocated for the creation of an office of urban agriculture under the USDA. The office would coordinate urban agriculture policies and offer technical assistance. “The legislation is all anchored in the creation of this office, which will act as a force to coordinate urban farming activities and research and ensure that whatever is included in the Farm Bill will be properly implemented,” says King. The bill authorizes up to a total of $860 million over 10 years in new investments for urban agriculture, a potentially sizable chunk of the overall farm bill pie. 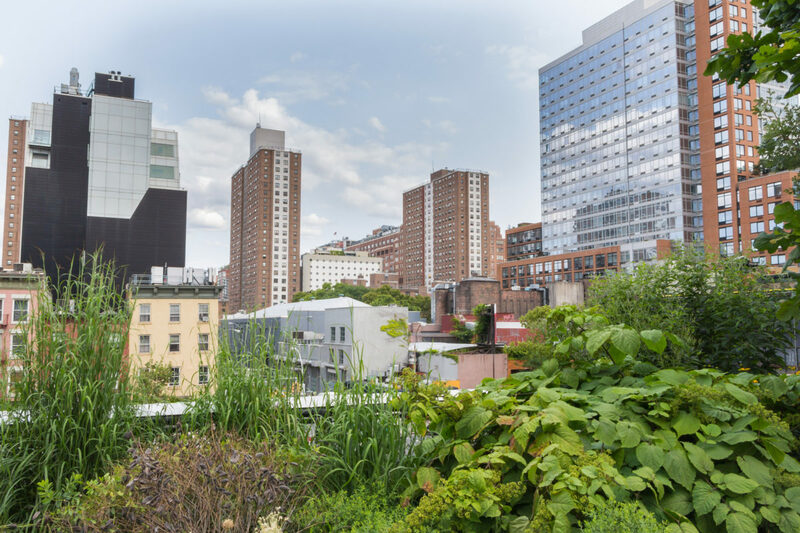 To get by, many urban farmers have either taken advantage of “borrowed” land and built infrastructure from free and found materials or engaged in public-private partnerships. The struggle for farms that fall somewhere in the middle could be eased through more federal funding. “A new resource platform could enable the spectrum to be more fully populated,” says Gersh. Indeed, the bill recognizes the diversity of urban farming operations and includes a specific provision to improve access to USDA farm programs like technical assistance, loans and insurance, and uses conservation grants to support access to land and production sites for farmers operating rooftop or vertical farms. The nod to urban food production ought to be welcome news for operations like Bright Farms, Detroit’s Hantz Farm, and Square Roots, a Kimbal Musk-backed urban farming accelerator to help millennials launch vertical farming operations. During the press call, Stabenow acknowledged that the funding for these initiatives would come from expanding existing loan programs, which could cause urban farmers to compete with other farmers for the same pot of funding. But Gersh fears that the wrong type of funding could have a deleterious effect. Karen Washington also has concerns about the dollars and cents of the proposed legislation. The urban farming activist and farmer/founder of Rise & Root Farm in New York is concerned that the bill emphasizes profit-driven farming rather than urban food access. There are, indeed, kinks to be worked out. On the press call, Stabenow acknowledged the bill has little chance of passing in its current form. But, it could make waves regardless. For starters, it could sway city and state-level lawmakers who are on the fence about updating dated legal language that puts urban farmers at odds with municipalities. “[The bill] provides good opportunities for the federal government to step in and tell cities, ‘We’ve done the research and you’re obliged to give it a chance,’” Gersh says. For Karen Washington, the message the proposed bill sends is a step in the right direction. When urban farmers, by definition, enjoy unparalleled direct access to markets for retail level sales, why is there any difficulty establishing these urban farms where need exists? And fixing price supports for urban farmers at prevailing snob food retail prices and insuring urban crops at that level? That also seems extravagant and extremely vulnerable to fraud. The very idea of federal subsidies for urban farming seems to argue that business model is fatally flawed. Why would taxpayers want to go down that road at the federal level. Instead make it a city level tax and subsidy program or possibly at the county level. That would truly "level the field".